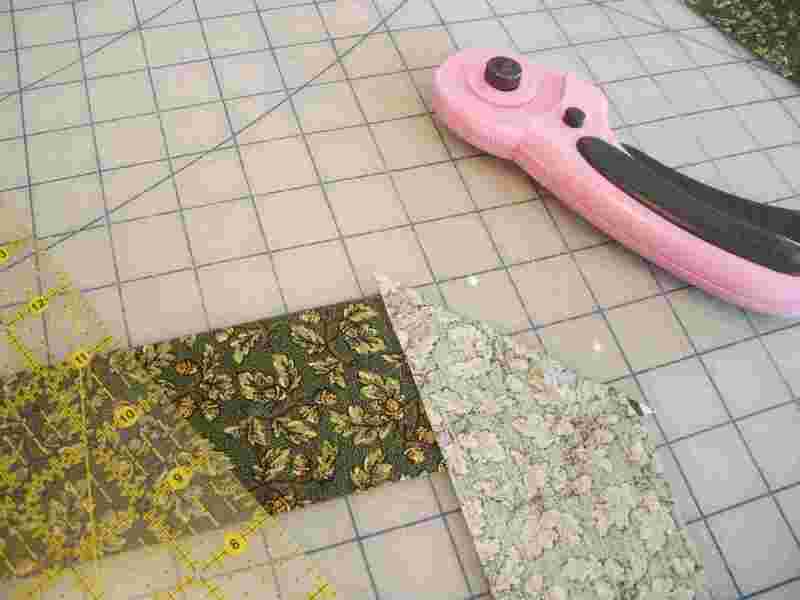 Rosemary’s Club | Quilting my way through life! Well, when I got up this morning I didn’t head first to the dishwasher or computer. Nope, instead I decided to choose quilting thread and bobbin thread and start sewing in the sunshine! With Rosemary’s Club tomorrow I decided this was the day. 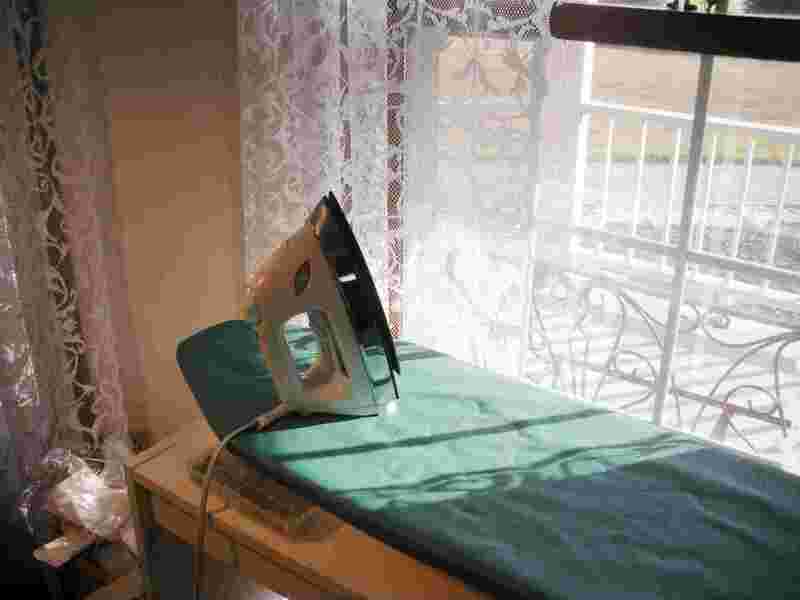 Isn’t the sun shining in your quilt room the most beautiful sight? Not that we’ve not had enough sun shiny days this summer, we have. Just look at that brown grass in the distance! It’s just that I’ve not had the opportunity time-wise, mental-wise or otherwise to sew. Since this is going to be a gift and not a pattern sample, I decided to “age” it a bit by putting it in the washer and dryer. While it was aging, I cut & pieced the binding. As soon as it comes out of the dryer, it will be trimmed and the binding sewn on, then look out, I need a movie to watch! Oh, well, that’s after we make a run to the plumbing store for a replacement handle for an outside faucet, and while we’re out I will probably think of a few other tasks that we need to stop for, BUT THEN!!! I’m thinking Legally Blonde. We’ve not watched that in a while. Of course dinner will need to be made and then there’s the budget meeting for quilt guild tonight. 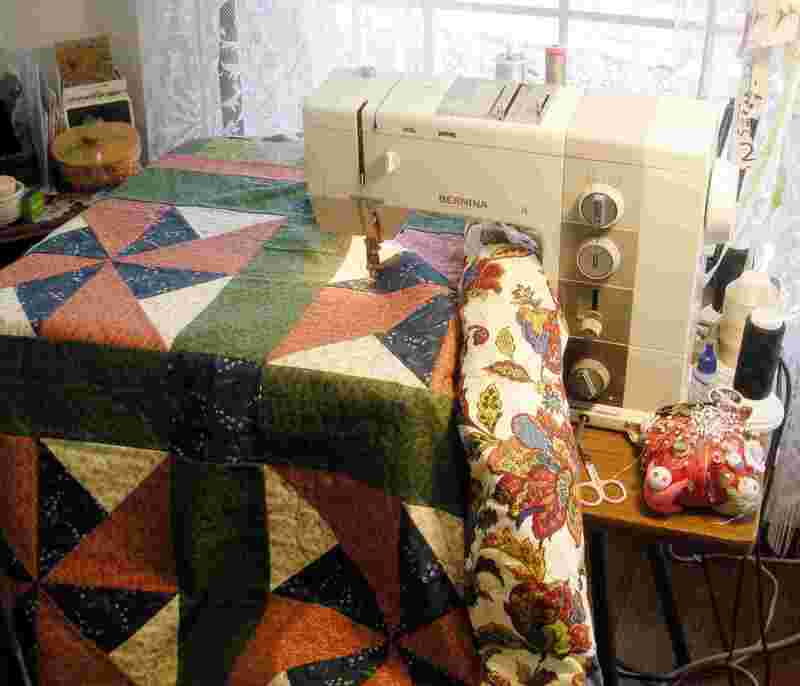 But this quilt will be done by 8:30 a.m. tomorrow if I have to stay up all night!! !